Suji namakpare is the healthier option of maida as it contains more fibre, gives energy. It also helps to regulate weight loss and good for strong bones. Suji is also good for the heart and good for overall body function. In a mixer grinder grind suji into a fine flour. Now add salt, chaat masala, red chilli powder, Kala namak, amchoor powder. Leave the dough at least for 30 minutes so suji can absorb water and the dough become soft. After 30 minutes, knead the dough again and if the dough is to hard then add little water and make the dough just like puri dough. 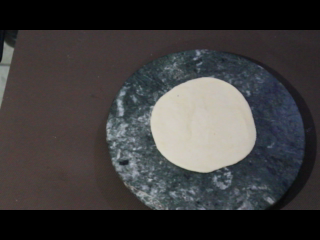 Now make 1/2 inch thin chapati/disc and cut the chapati into a diamond shape. Now add nampakare into oil on low medium heat and fry until it turns golden brown. Add nampakpare one by one into oil otherwise, it sticks with one another and cant turns out crispy. Nampakpare more crispy when it cool down. Store namakpare in air tight container for upto 10-15 days. Raj Kachori is also called as the king of all kachoris or a king-sized kachori simply because it is the royal, rich and splendid dish. It is a popular chaat snack from North India. 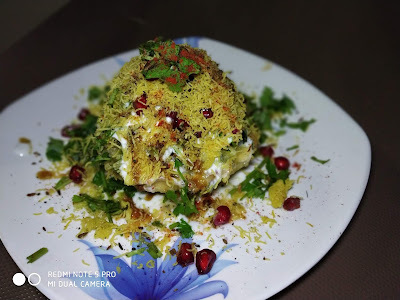 This chaat recipe is simple but this recipe covers both preparations of kachori and assembling of chaat ingredients so it takes time. 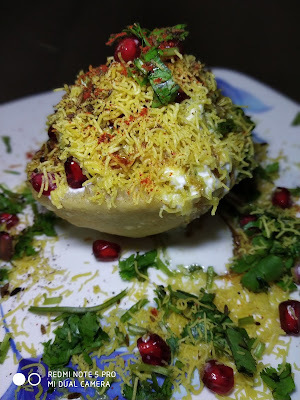 The texture of Raj Kachori is more like a puri with a crispy surface the traditional texture of puri does not help to fill stuffing on kachori so it would be more crispy and more puff than puri. 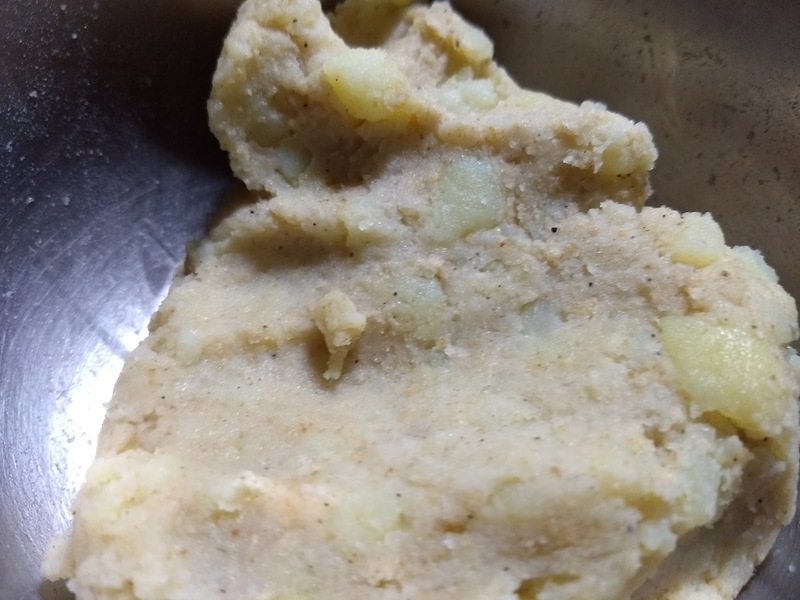 I have added boiled potato and sprouted green gram but you can add boiled chickpea, crushed paapdi or boondi. 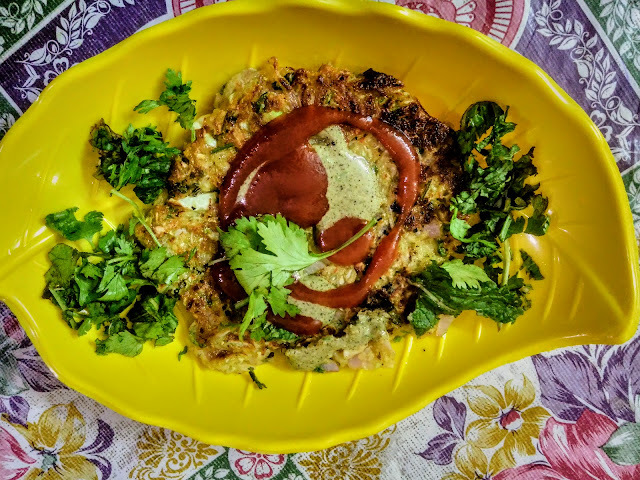 Making raj kachori is quite a time taken so you can also prepare the stuffing a day earlier like make sweet chutney, green chutney or boiled aloo, chickpea or other dal. You can also prepare kachori one day earlier and keep it in an airtight container and it crispness last long for 1-2 days. Maida / Refined Flour - 250 gm. 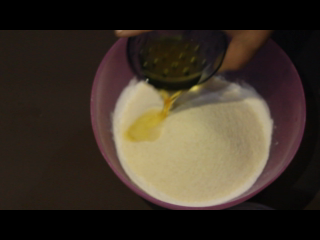 Suji/ / Semolina/ Rava - 50 gm. 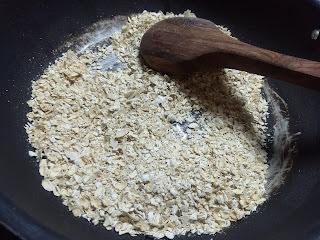 Mix the 250 gm flour or maida and 50 gm suji in a large mixing bowl. Now add baking soda, salt, and hot oil. 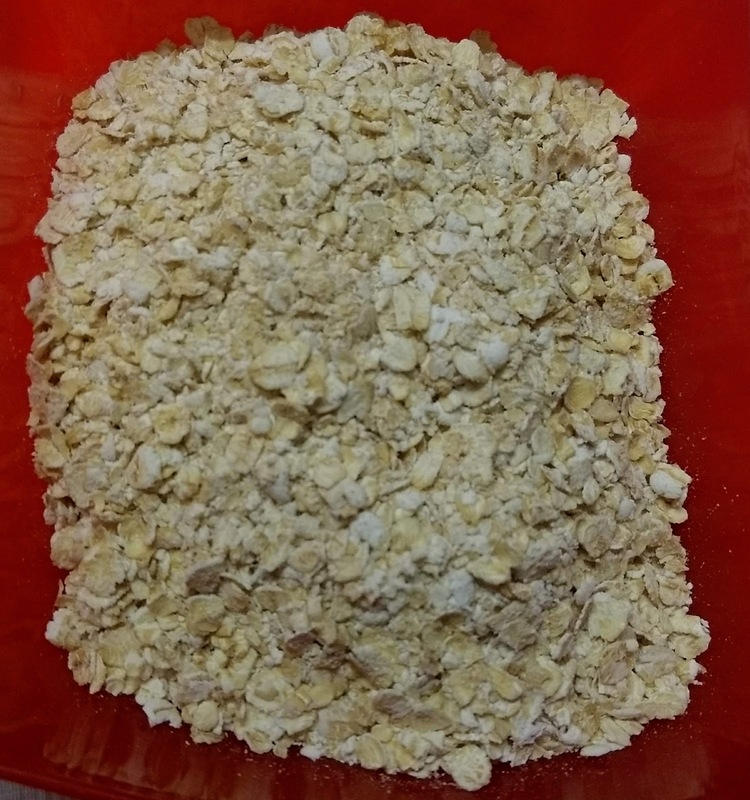 Mix well all ingredients until it has to crumble texture. Add Water and make firm dough and rest for at least 10 minutes. After 10 minutes again knead the dough and make small 16 balls. 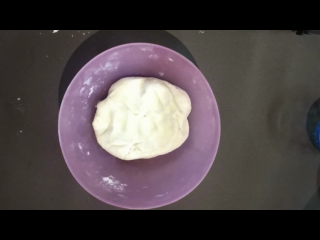 Take the dough ball and roll it to a 4-5 inch diameter round. Do not make the kachoris too thin or to thick. Try to roll evenly. Heat the oil and add a tiny piece of the dough in the oil. If it comes up gradually the oil is ready to fry the kachoris. Now gently put the kachori in the medium hot oil. After a couple of seconds, the kachori will come up on the top. Now press gently the kachori with a slotted spoon, so that it puffs up. 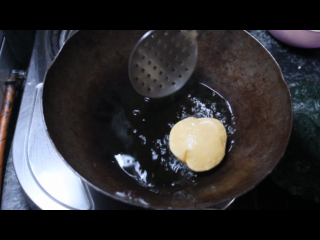 Fry the kachori till the base is golden brown and then turn. Fry till the crust is crisp and golden brown. 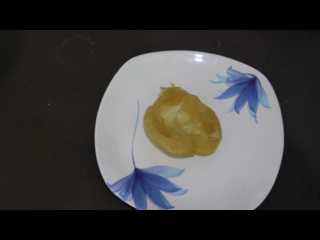 Turn the kachori 2- 3 times to get an even golden cover. Keep them aside on paper kitchen towel so that extra oil should be absorbed. Before you start making raj kachori assemble all the chaat ingredients. Take one kachori and keep it in a serving plate and break the top crust of the kachori and create enough space. First, add some boiled potato small cubes. Then, add some soaked moong and then add imli and green chutney. Now sprinkle chaat masala, salt, black salt and roasted cumin powder and then add beaten curd. Now repeat the same process from 3 to 5. Then add pomegranate seed and then sev and then add finely chopped coriander. Now again add beaten curd then sev and finely add again some pomegranate seed. Finally, finish kachori by sprinkle roasted cumin powder and chaat masala. You can also make basket /tokri chaat by adding the same ingredient. Also add paapdi chaat or boondi or crumbled Dahi Bhalla. Always use well-beaten curd otherwise curd have lumps and it is not equally pour on kachori. The main part of kachori is puffiness of puri so puri always should puff, otherwise, you cannot fill ingredient as much as you want. Try to fill ingredient immediately after frying kachori to avoid sogginess. Granola bar or Energy bar are now-a-days is very common among everybody specially sports persons. 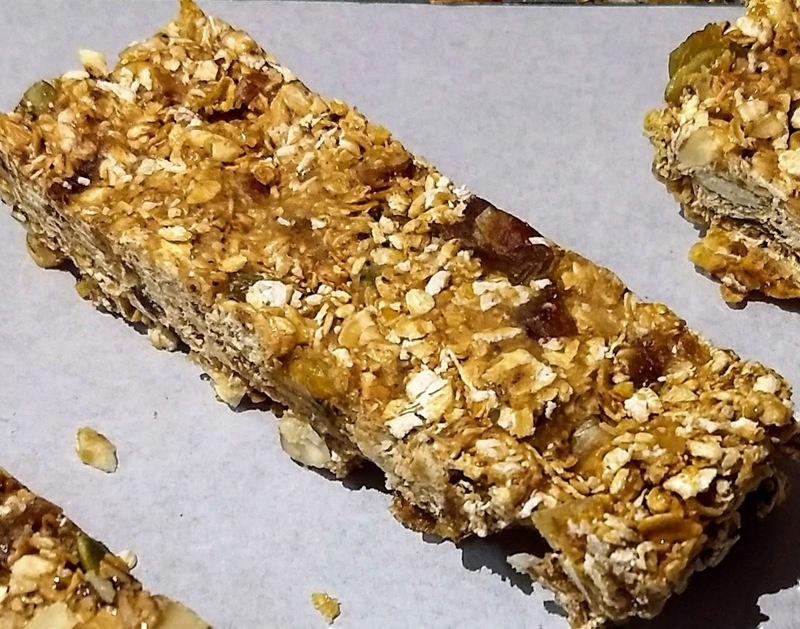 These bars have lot of good calories which boost up instant energy. These bar are the mixture of lot of cereals, seeds, nuts, berries jaggery etc. 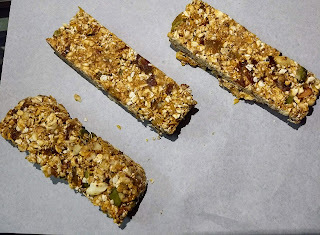 Before start the recipe of the granola bar let us see the benefits of the ingredients used in this bar. Almonds are high in calcium and also in fibre. It also contains Vitamin E and magnesium. Highest in calcium of all nuts. Its also help in lower cholesterol and reduce the risk of heart disease, and can help protect against diabetes. 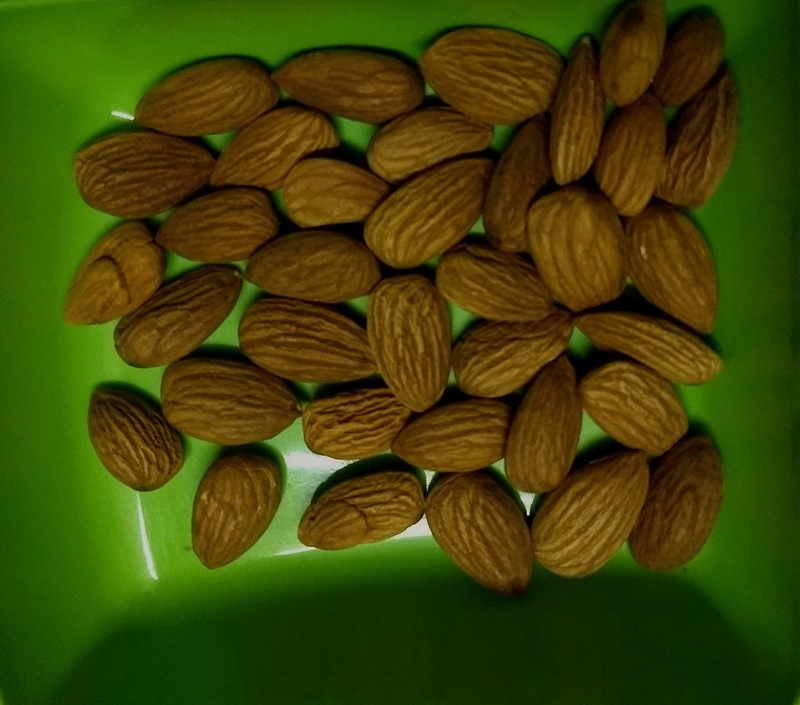 Rich in iron, high in magnesium (more than almonds). 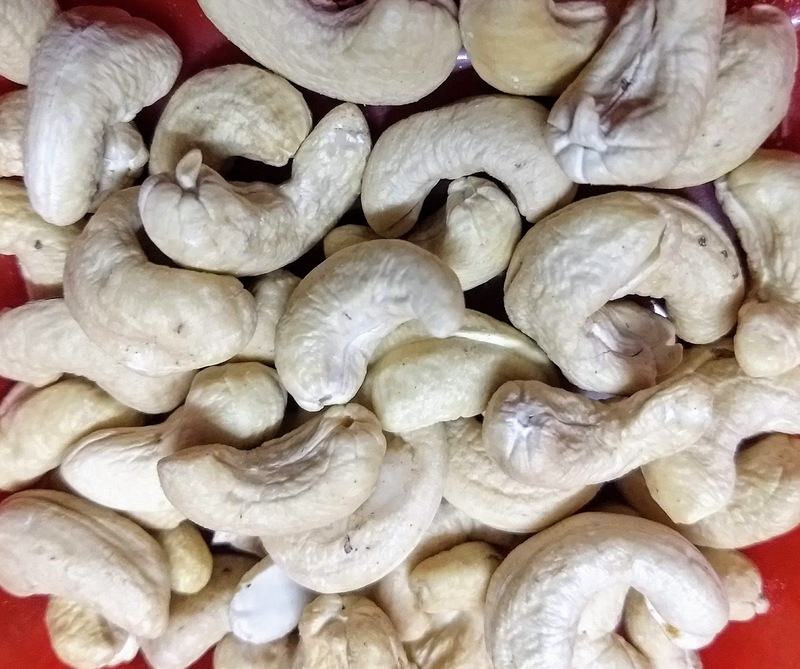 Cashews help prevent cancer, promote a healthy heart and strong bones, and also are good for your skin and hair. 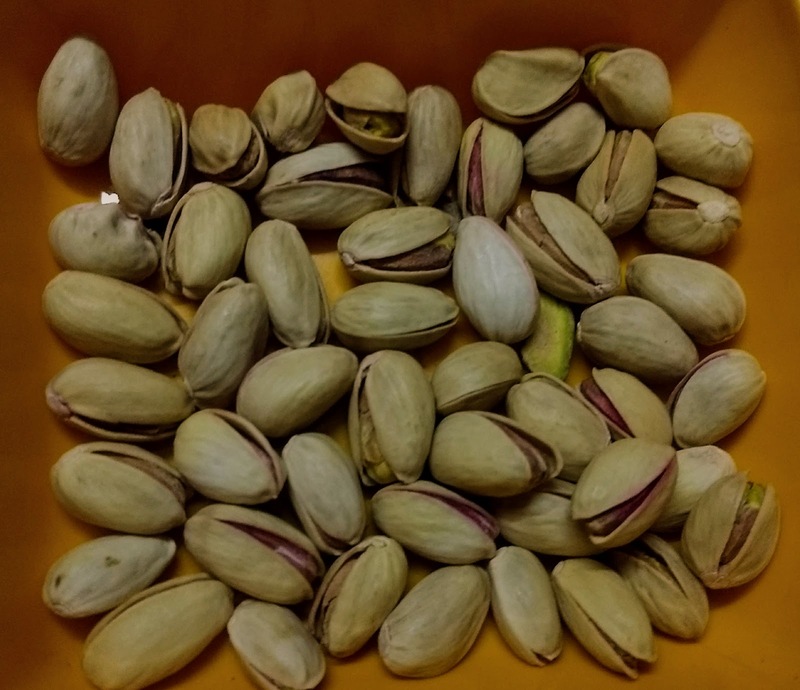 Pista had lots of health benefits. It helps in blood purify. If you consume pasta in your daily diet it makes your eyes and brain strong and healthy. It also controls your cholesterol and also prevent from cancer. If you include raisins in your daily diet routine, then it gives you lots of health benefits. If you feel tired then eat raisins as it contains a lot of carbohydrates and fibre. It also gives you instant energy. If you are suffering from anaemia than eat raisins daily as it helps to make blood. 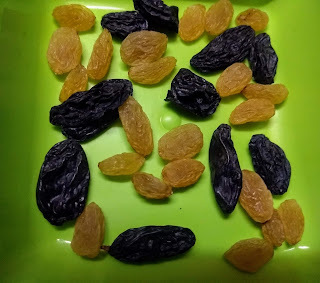 Raisin also give you relief from a dry cough and constipation. Dried Dates improves your digestive system as they are full of fibers but not consume more than 3-4 daily because they are high in calories.It also give relief from constipation.Dried dates are rich source of calcium which help to keeps your bones and teeth strong.They are also a rich source of natural sugars(glucose and fructose) and helps to increase your instant energy and stamina of your body. 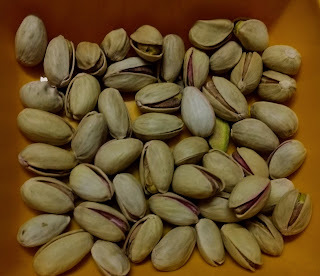 Pumpkin seeds helps to heal the wound faster. It also help to increase immune system of body. Due to rich source of magnesium it keeps our bone healthy and strong. It also keep skin and eyes healthy. 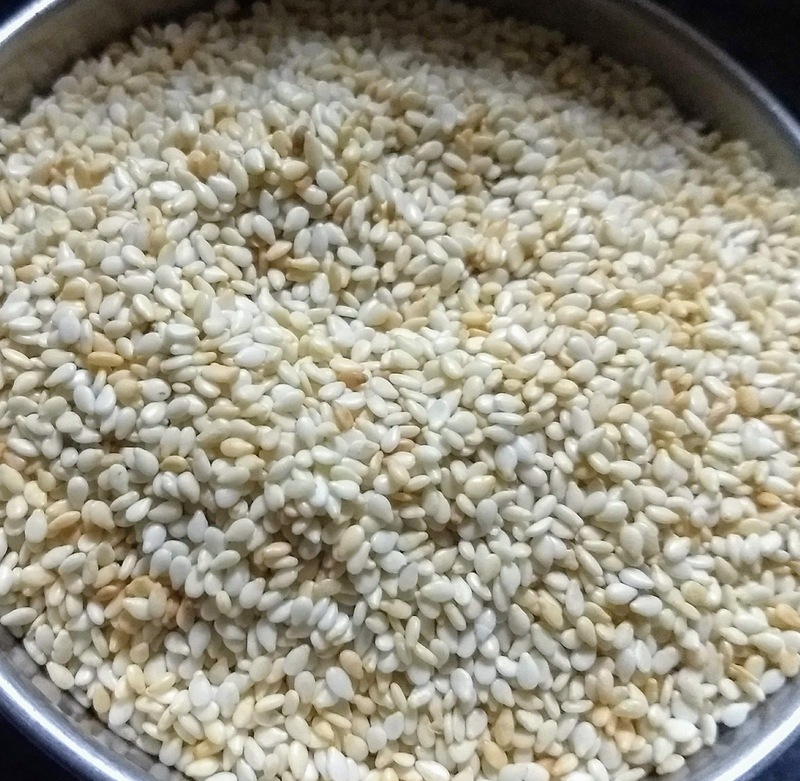 The potent nutritional benefits of sesame seeds include their ability to prevent cancer, improve heart health, lower blood pressure, build strong bones, and prevent diabetes. They also help cure sleep disorders, improve digestion, reduce inflammation, boost respiratory health, and aid in dental care.Sesame seeds are a rich source of natural oils, lignans, antioxidants, protein, dietary fiber, and minerals like calcium, iron, potassium, phosphorus, and magnesium. They also contain thiamine, vitamin B6, folate, zinc, copper, riboflavin, and vitamin E.A half cup of sesame seed contains approximately three times more calcium than half a cup of whole milk. Oats are low in calorie and fat hence they are good for heart. 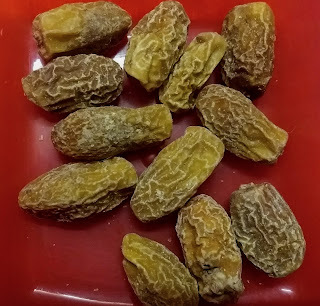 They are rich in fibres so helps in digestion and helps in weight loose.It also controls diabetes and high blood pressure. It also increase immune system of body. 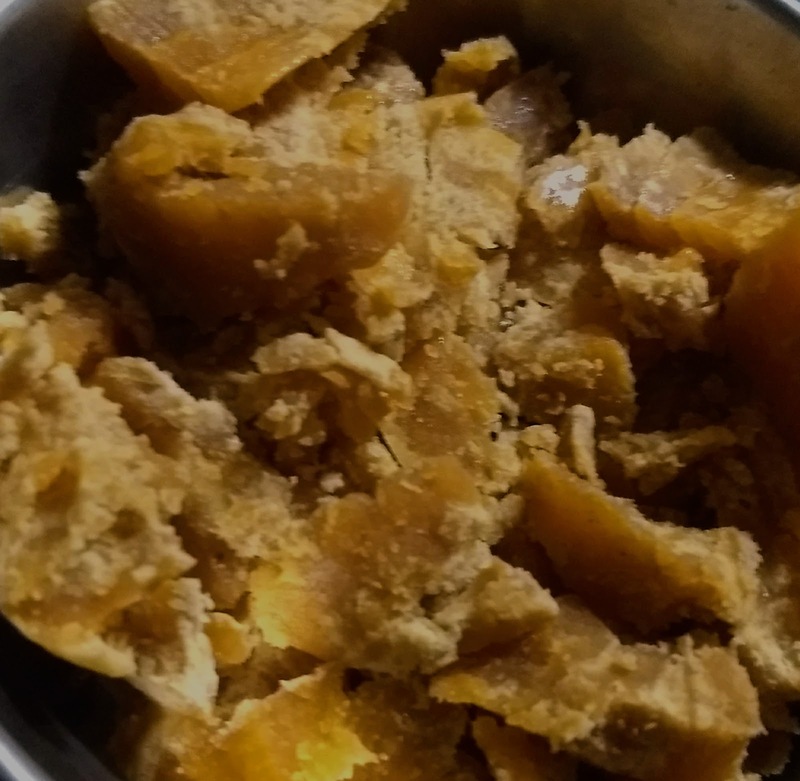 Jaggery or gur helps in purify the blood, also helps in fight cold and flu.It keeps our liver healthy and fights constipation. Jaggery or gur rich in iron so it also helps to increase blood in our body. It also prevent burning sensation in Stomach.It also help to keep intestine healthy and prevent joint pain also. It also keep your energy level high. If you want to lose your weight, then included jaggery in your daily diet instead of sugar. Cashew nut - 15 gm. Dried Date - 25 gm. 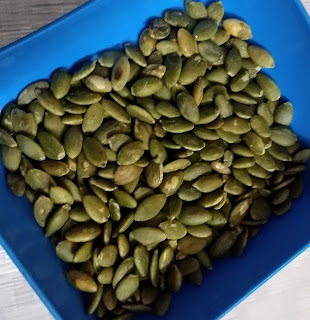 Pumpkin Seeds - 6 gm. 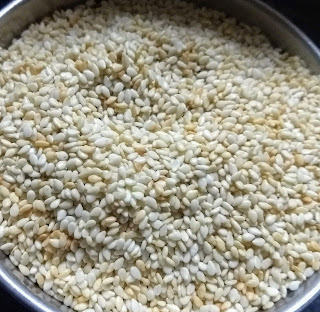 White Sesame Seed - 12 gm. 2. 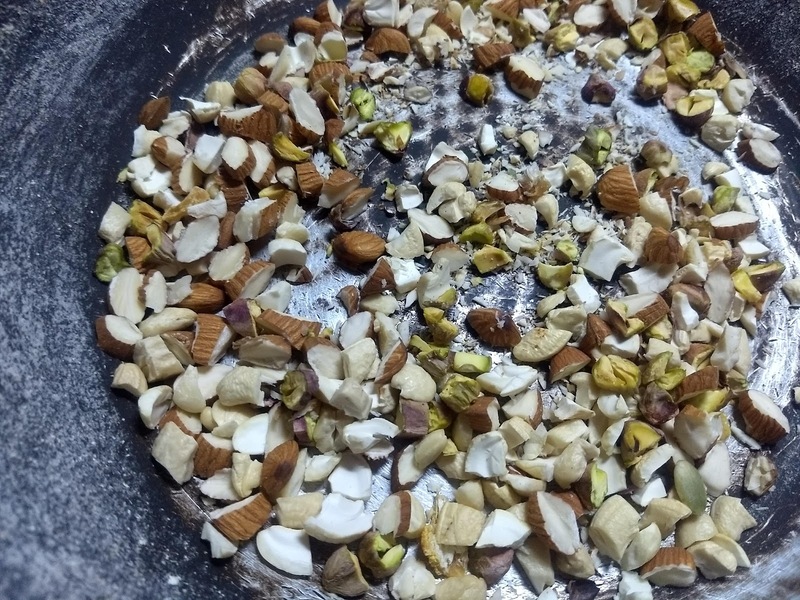 Dry roast oats, nuts-almonds, pista, cashew nut separately in a kadhai/heavy bottom pan. 3. In another heavy bottom kadhai pour 5 tbsp water and then add jaggery. 4. 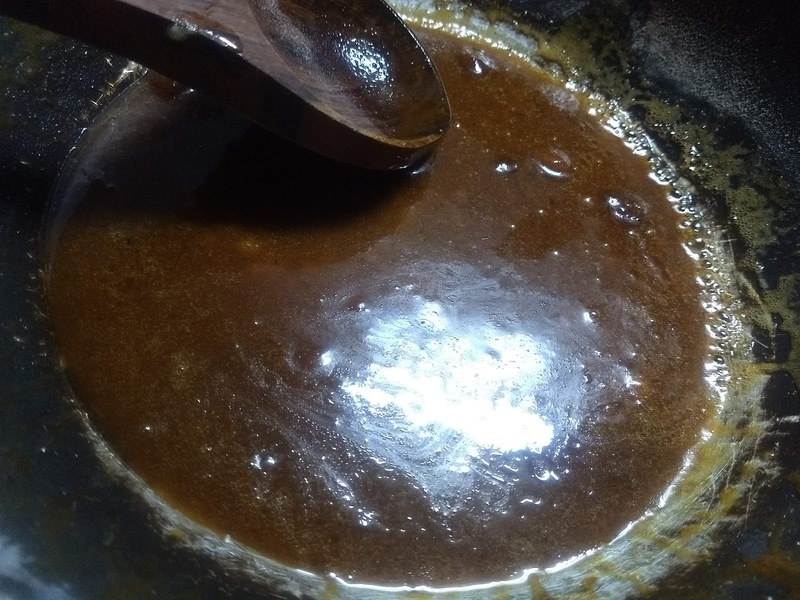 Melt jaggery on a low flame till the melted jaggery turns glossy and thickens. 5. Check the consistency by dropping syrup to a bowl of water, it should form hard and cut with a snap sound. 6. If the sound comes, then switch off the flame otherwise boil for an another 1-2 minute. 7. 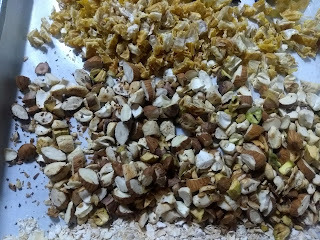 Then add, ghee in a melted jaggery syrup and then add oats all nuts and khajur. 8. Immediately pour the mixture onto a greased plate or over butter paper. 9. Then rolled the mixture with a greased rolling pin into a slightly thick block. 10. Allow to cool for a minute and when its still warm cut into pieces. 11. Lastly, store in an airtight container once cooled completely. Add sugar instead of jaggery, just caramelized the sugar and mix all the nuts. 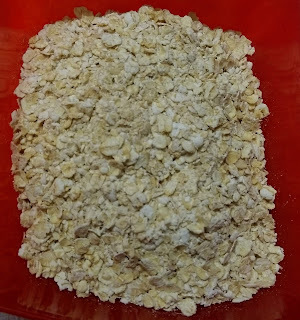 You can also add different cereals like muesli, cornflakes, rice puff etc. Add seeds like flax seeds, melon seeds, dried cranberries. 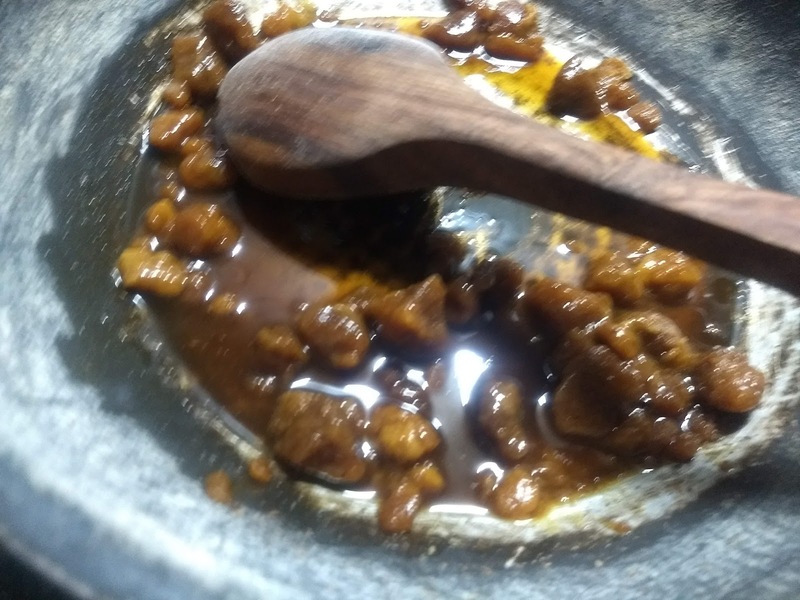 Always chopped the jaggery into small pieces so that it melts immediately and cooks evenly. 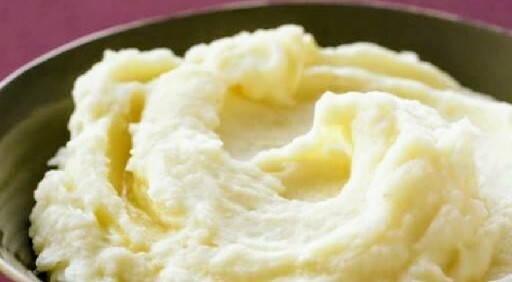 In a large mixing bowl take boiled and grated potato. 2. 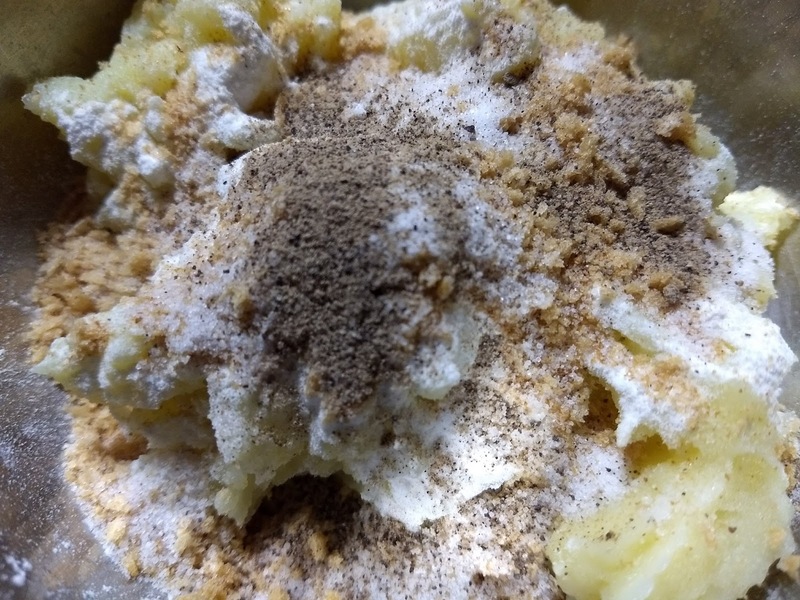 Now add breadcrumbs, corn-flour, black-pepper powder and salt. soft and non sticky dough. 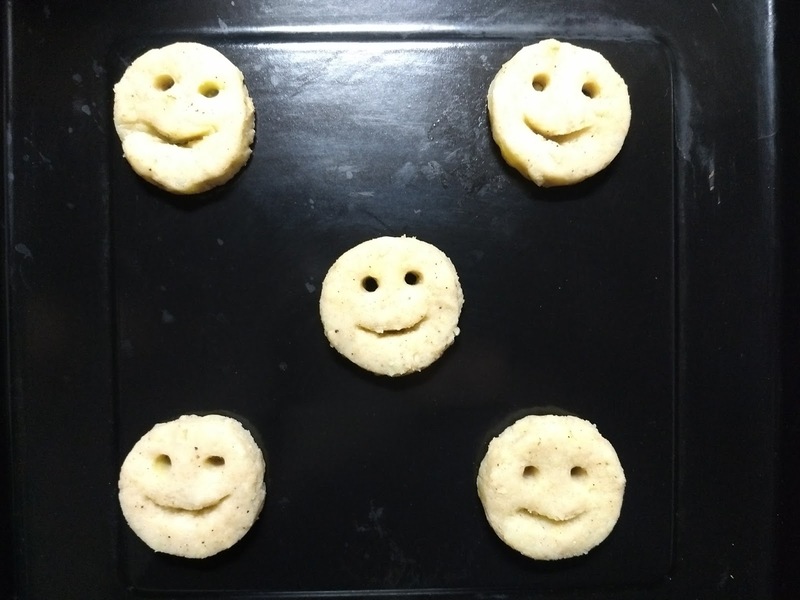 smiley from breaking in oil and retain its shape. paper with the help of hand, cut round using a cookie cutter or a glass. 6. 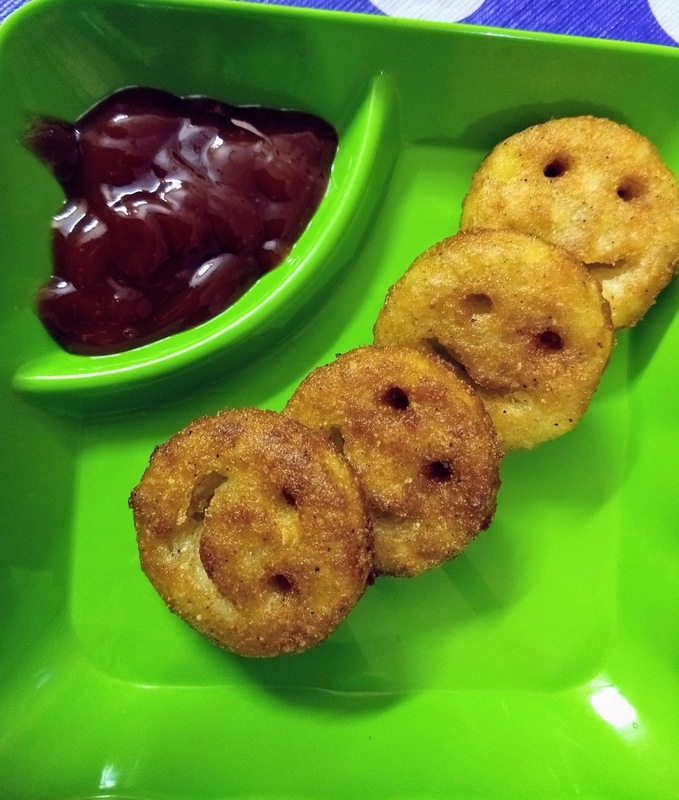 You can make smiley eyes using straw and use spoon to make a smile. at 180 degree celsius for 20-25 minutes or till it turns golden and crisp. Grate cabbage and soak in hot water for 5 minutes.Drain out in the stainer and squeeze extra water with help of muslin cloth. Transfer cabbage into the bowl, add all ingredients except oil and mix well together. 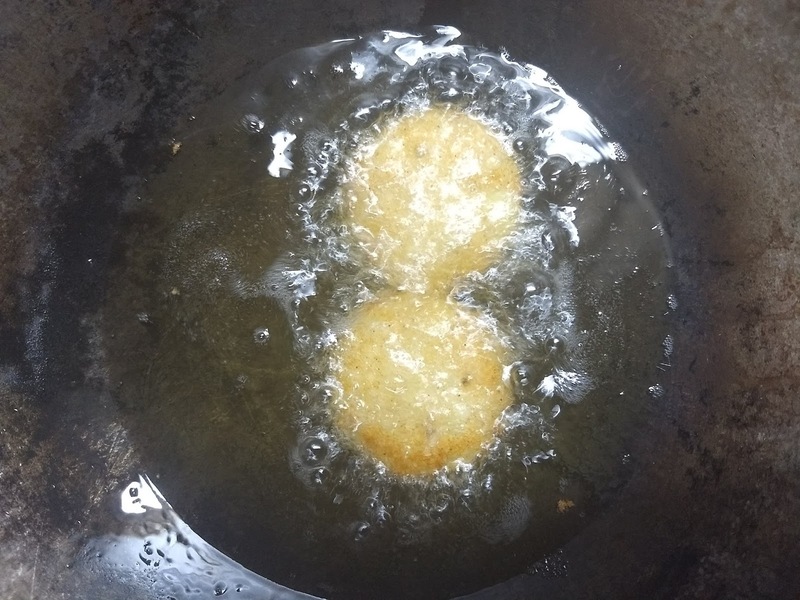 In a pan pour oil and make fritters on low medium flame till it become golden brown from both sides. Transfer all fritters on the plate and garnished with fresh coriander leaves. 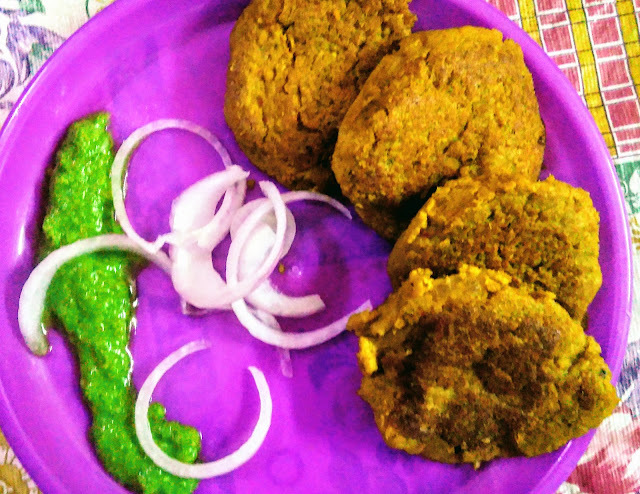 Enjoy hot fritters with green chutney and tomato ketchup. Black Pepper- 8 to 10 Peppercorns, Cloves- 5 to 6, Cumin seeds- 1 tsp, Coriander seeds- 1/2 tsp. Dry Roast each and grind it. Soak soya granules in warm water for about 1/2 hour. Drain out excess water through strainer or muslin cloth and transfer into the bowl. Dry roast besan in a pan and transfer to a plate. In the same pan add ghee then add ginger-garlic paste and saute for a minute, now add soya granules in a pan and saute for 3 to 4 minute. Add besan, prepared masala and salt. Saute until all ingredients mix together well. Transfer soya mixture to a plate and allow to cool.In a mean time brown onion slices in the same pan using 2 tbsp oil. Grind soya mix and onion paste into a smooth paste and transfer into a bowl. Divide paste into 8 equal balls and make tikkis. Saute tikkis in ghee in the pan untill become golden brown from the both side. Serve hot kebabs with onion rings, green chutney and also with curd dip(optional). Healthy & spicy beetroot aloo tikki with white sesame seeds. You can enjoy this as morning or an evening snack. See the below video. 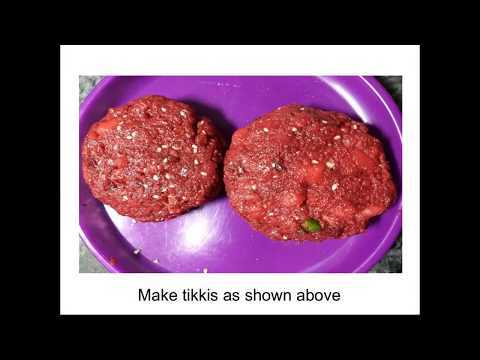 Serving 6 tikkis with mentioned ingrediants in the video. 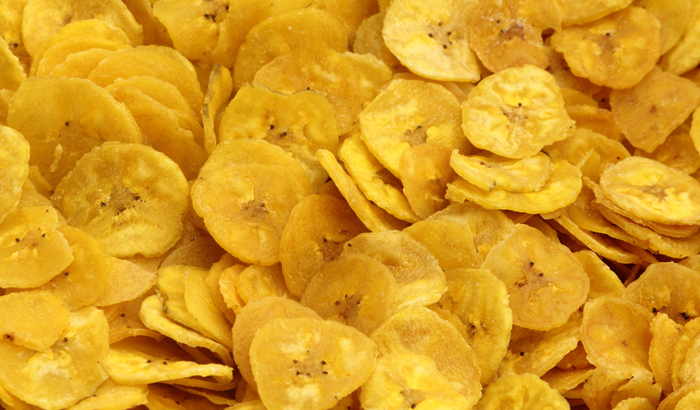 Banana chips are dried slices of bananas. They can be fried in oil and spices and have a salty or spicy taste or sugar-coated or jaggery coated.Banana chips are commonly found in India, Philippines and Indonesia. But I like fried banana chips. Fried banana chips are usually produced from under-ripe banana slices deep fried in sunflower oil or coconut oil.These chips are dry like potato chips and can be salted, spiced. In India, usually made in the states of Kerala and Tamil Nadu and commonly known as "nenthra-kaaya oopperi" or "upperi" in Kerala. 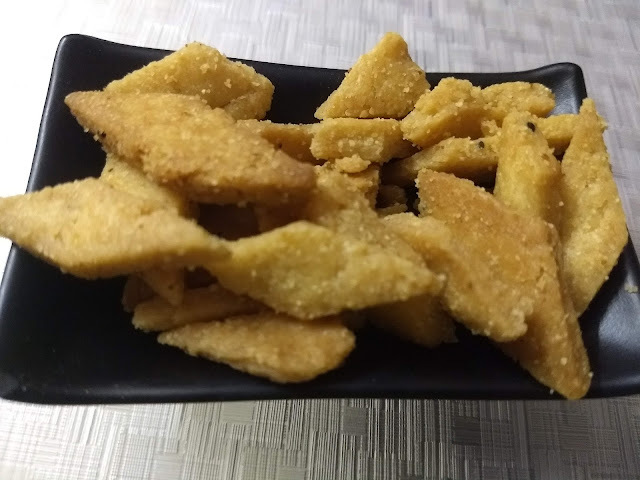 Sweet jaggery-banana chips are called "sharkara upperi" and it is an integral part of the traditional meal called sadya served during the weedings or in the festival such as Onam. So, I am sharing the recipe of banana wafer or chips. Peel the bananas and immediately soak in ice cold water for 15 to 20 minutes. After 15 to 20 minutes, slice the raw banana with slicer and soak in the same ice cold water for 30 minutes. After 30 minutes pat dry banana slice with clean kitchen towel till all extra water removed. Now mix turmeric and salt in banana slices. Now fry banana chips on medium flame till it becomes crisp. When they cool down, keep in an airtight container. Enjoy banana chips with evening tea or whenever you want to munch something. Bananas after peeling and slicing should be soaked to ice cold water immediately to preserve freshness and prevent discoloration or surface browning.